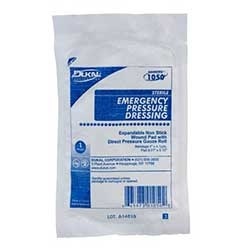 Super Stop emergency pressure dressings are a strong resource in any trauma kit. 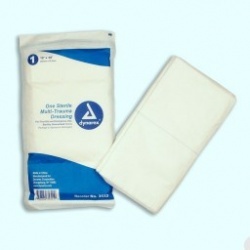 These dressings are sterile expandable non stick wound pads with direct pressure gauze rolls. The non-stick surface protects the wound when applied with pressure to control bleeding. Wholesale Direct offers a new assortment of pressure bandages individually packed in boxes and in bulk packs. Also see: Trauma Pads and Sterile Gauze Rolls. Super Stop Bandages There are 3 products.